Hey girls!!! Our facial skin is very delicate and it need to fight against several skin issues like acne, pimples, whiteheads, blackheads, dull skin and many more….. Today am going to share some remedies that work like charm and removes blackheads. Blessed with oily skin, I suffer from blackheads every now and then. So i scrub my nose whenever black heads appear and the result was red dry patch around nose area. After some research I came to know that excessive scrubbing will dry out the skin.So i looked for alternate methods to remove blackheads and came up with these working remedies among many other. Excessive physical scrubbing may lead to dry skin and so we should opt for chemical exfoliation. The chemicals that are used in many store bought blackhead removers are found in many natural substances. I have shared some working methods below. When excess sebum or dead cells or dirt clogs the pore, it results in blackheads. These are black in colour since they are oxidized. Certain hormone imbalance may also result in black heads. If you sleep on one side, they due to friction between nose and bed, blackheads may appear. Cinnamon is anti bacterial and it helps to prevent and remove blackheads. ⦁ Take 1 spoon of cinnamon powder in a bowl and add 1 spoon of fresh lemon juice to it. ⦁ Apply this on affected area. This removes blackhead with few uses depending upon your skin’s condition. Follow this remedy daily. ⦁ Apply some organic honey on affected area, this will remove blackheads. ⦁ It is mildest remedy and it is really helpful for sensitive and dry skin types. You can follow this remedy even daily. ⦁ Separate egg white from 1 egg. ⦁ Now add 1 pinch of wild turmeric powder to it. ⦁ Apply this all over affected area. when the 1st layer dries, then apply 2nd layer of egg mask. Repeat this step and apply minimum of 5 layers of egg mask.When it dries peel the mask. 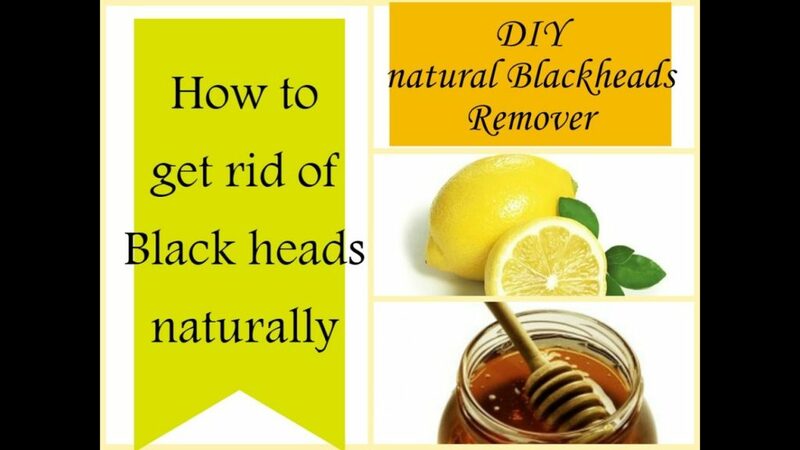 ⦁ This removes black heads instantly. ⦁ The anti oxidant property of turmeric prevents further blackheads. Use this twice a week. ⦁ Take some nutmeg powder in a clean bowl. If you don’t have nutmeg powder then rub nutmeg against rubbing stone and take it’s paste. ⦁ Now add warm milk to the nutmeg powder. Apply this all over affected area. ⦁ When it dries, remove it in circular motion. This helps in removing black heads and white heads and even helps with pimples. ⦁ Follow this remedy on alternate days. Oatmeal has soothing properties and lactic acid in curd removes excess oil and breaks the black heads. ⦁ Take 1 spoon of oatmeal in a bowl and add 2 spoons of yogurt yo it. ⦁ Use this to cleanse your face. Use this once everyday. You can notice the difference in blackheads within 10 days. This also prevents black heads from coming back.